Everyone needs a shelving unit for some purpose in life. 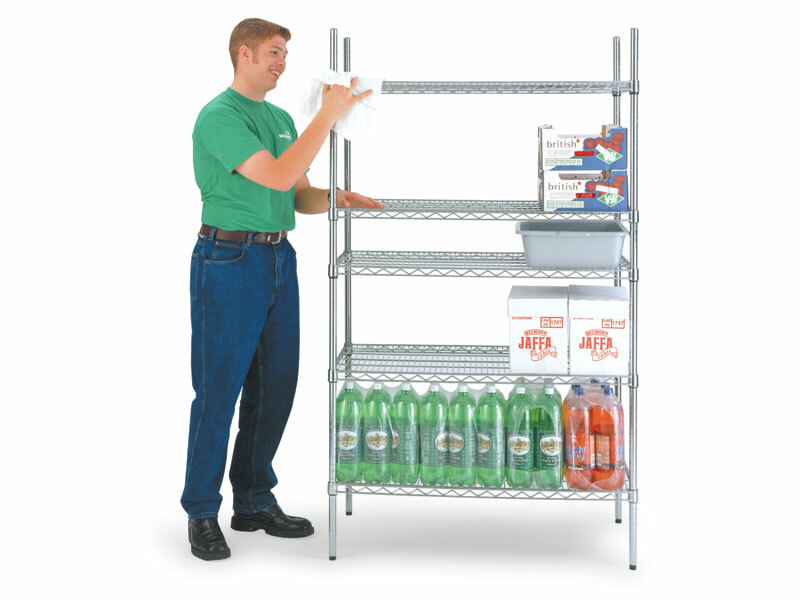 Whether it is at home, in the office or at your store, the chrome wire kitchen shelving unit is the perfect apparatus for all of your storage needs. What is the purpose of the Chrome Wire Shelving? 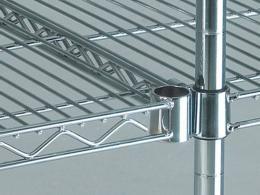 Chrome kitchen shelving is a great product to store all of your everyday needs. From pots and pans to canisters to non-perishable food items, this great starter shelving set is versatile enough to use for any purpose. Don’t limit its purpose to just kitchen supplies. This great product can be used to store anything and in a variety of locations. While the kitchen is a great place for the chrome kitchen shelving unit, this storage unit can be used in a variety of locations. It is perfect for the home, office or retail location. 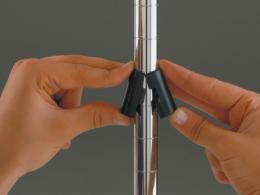 It is attractive enough to be seen by customers, so it can stand to be part of a floor display. Additionally, it is the perfect piece of equipment for items that need ventilation as the wiring allows a nice airflow throughout the structure. When you are at home, this is a great product to use in your kitchen or in your office. Alternatively, you can use it for storage in your garage. This product is most commonly used by store owners or businesses that have a lot of inventory either on display or stored in their back room. With the versatility of this storage shelving unit, the ways you can utilize it are really limitless. 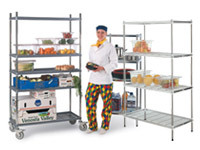 The chrome kitchen shelving unit comes standard with four 1800mm high uprights and four shelves. With a quick assembly and sleek chrome finish, this shelf is not only durable, but also attractive. It can hold up to 300kg of items that need to be stored. The chrome wire shelving unit comes with a one year parts and labour warranty and is free to have delivered to all UK Mainland destinations.